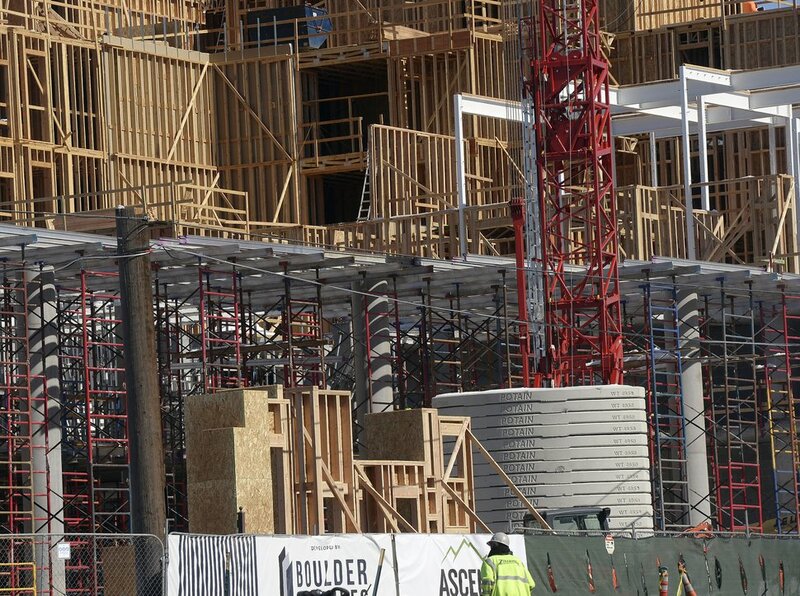 (Al Hartmann | The Salt Lake Tribune) Steel goes into the framework of an apartment building project at Sugarmont Avenue (2250 S.) and 1000 E. across from Fairmont Park in Salt Lake City on Monday. President Donald Trump's proposed tariffs on foreign steel and aluminum products could mean price increases for building projects down the road. Hold on, Mr. President. Your proposed tariff on all imports of steel and aluminum could inhibit the continued growth of Utah’s thriving economy. • Members of Utah’s congressional delegation. • Business advocacy organizations, such as the Salt Lake Chamber and World Trade Center Utah. 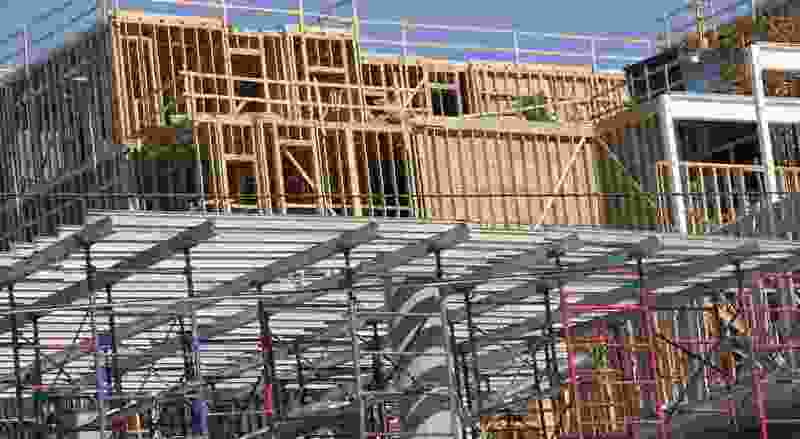 • Building contractors and manufacturers who create products from the metals targeted for higher import fees. Yet others, like Nucor, a steel manufacturer with a sizable presence in Box Elder County, support Trump’s stated intent to slap a 25 percent tariff on steel and 10 percent on aluminum imports. 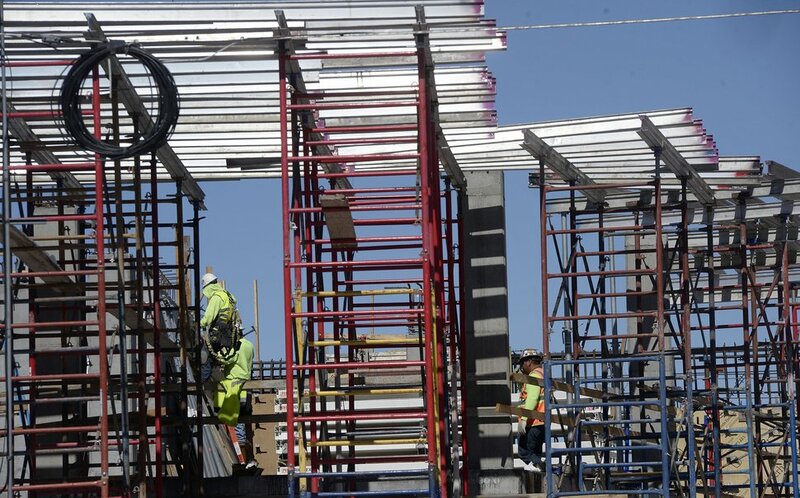 (Al Hartmann | The Salt Lake Tribune) Steel goes into the framework of apartment building project at Sugarmont Avenue (2250 S.) and 1000 E. across from Fairmont Park in Salt Lake City on Monday March 6, 2018. President Trump's proposed increase tariff on foreign steel and aluminum products could mean price increases for building projects down the road. The proposal has increased the stress loads on people like Jim Russell, director of the state Division of Facilities and Construction Management, who is charged with predicting the cost of building big projects — such as a new and already increasingly expensive prison. Budget managers for the $3.1 billion reconstruction of Salt Lake City International Airport are in a similar quandary. Despite Trump’s insistence on going forward, Utah Sens. Orrin Hatch and Mike Lee and Rep. Mia Love have joined a growing chorus of Republican lawmakers calling on the president to back off. In a separate statement, Love said a steel fabrication company in her district, SME Steel in West Jordan, could be forced to lay off some of its 1,800 employees if the administration implements the proposed tariff. “The company forecasts that contractors, architects and engineers will be compelled to search for cheaper alternative materials in an effort to ensure financial feasibility in building projects,” she said. SME Industries President Dieter Klohn confirmed that Love’s assessment of the situation facing his company was accurate. Other Utah companies and trade groups also were willing to weigh in on the proposed tariffs. Nucor, based in North Carolina with plants in Box Elder County, applauded Trump’s approach as vital to protecting national security. David Kirkham, whose company in Alpine makes replicas of famous cars, would prefer not to see higher fees imposed but was willing to accept Trump’s proposal. 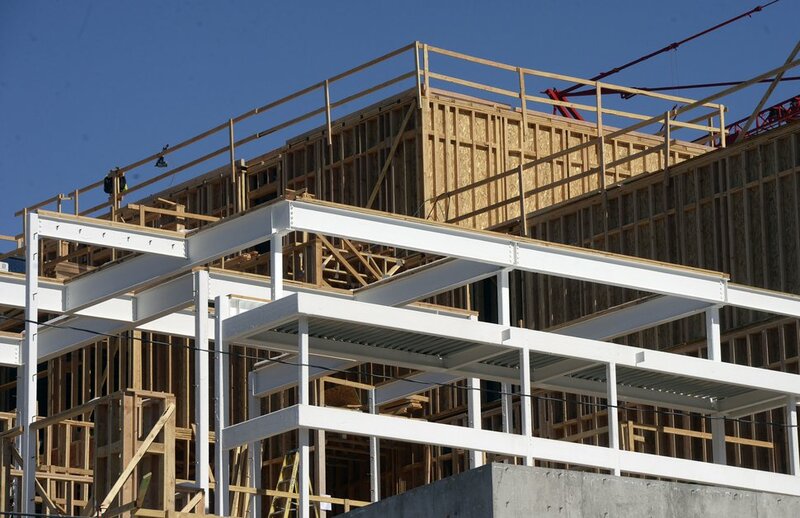 Construction companies will be especially hard hit, said Ken Simonson, chief economist for the Associated General Contractors, whose Utah chapter is thriving with apartments and new office buildings popping up all along the Wasatch Front. In Utah, the tariffs could have a negative ripple effect through the state’s economy, said Salt Lake Chamber President Lane Beattie.